The drop in temperatures, the changing colours and the increase in rainfall that come with fall bring not only wild mushrooms in their wake, but also cases of wine! Ahhhh wine release season, that wonderful time of year when stores are filled from floor to ceiling with beautiful wooden cases of delicious wine, all vying for a space in my shopping basket. I thought I would mark this momentous occaison by discussing one of my favourite fall wine pairings: Mushrooms and Pinot Noir! 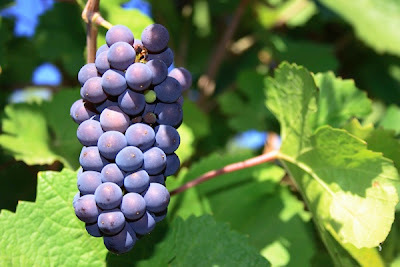 Pinot Noir is a fussy and difficult grape to grow. It needs the right conditions and the appropriate care in the vineyard to really flourish, and when it does, you may not come across a better wine. Like Riesling, Pinot Noir has an incredible knack for taking on the flavours of the land in which it was grown. “Terroir” would be the term used by wine buffs. It's a French word, best translated as 'a sense of place'. 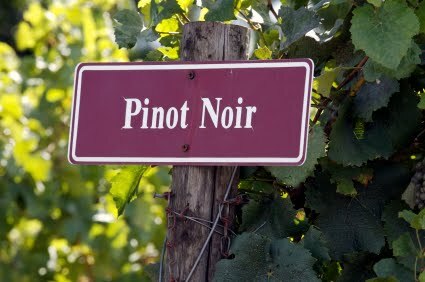 For wine drinkers that don't take wine talk too seriously, Pinot Noir is generally very easy to drink, light and fruity. Most New World Pinots are meant to be drunk young, while preimum Old World Pinots, such as Burgundy, have great ageing potential. Due to the fact that it is not the easiest grape to grow, low supply equates to a slightly higher price in comparison to the likes of Cabernet Sauvignon. It's thin skins result in wines that are light in colour with a delicate medium body, low to medium levels of tannin, a silky texture and a lively acidity. Pinot Noir will typically display red berry fruits such as strawberry, cherry and raspberry. With age, Pinot Noir, especially those from Burgundy, develop more complex aromas and flavours of vegetal and animal nuances, earth, wet/decaying leaves, mushrooms and gamey-meaty aromas (not the most enticing notes, but it does express the earthiness aroma best). For French Pinot Noir, the classic region is Burgundy (Bourgogne), where some of the best reds in the world can be found. 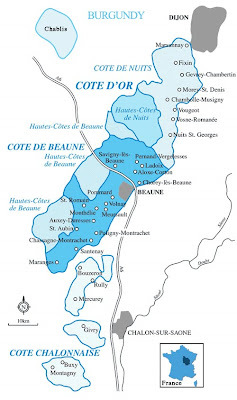 The Cote de Nuits, which together with the Cote de Beaune are known as the Cote d'Or, or “Golden Slopes”, is the home of the great red Burgundies and the vast majority of Grands and Premiers Crus (aka Creme de la Creme). 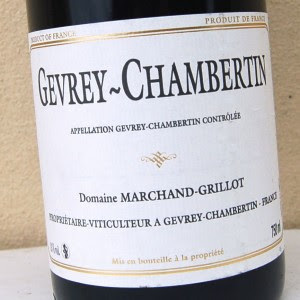 Here too, are some of Burgundy's most famous villages such as Gevrey-Chambertin and Vosne-Romanee. Any wine from this region will be expensive but all should be of good quality. The wines from each village area have their own character, for example: sturdy, tannic and long-lived from around Nuits-St-Georges, aristocratic, rich and complex from Vosne-Romanee. 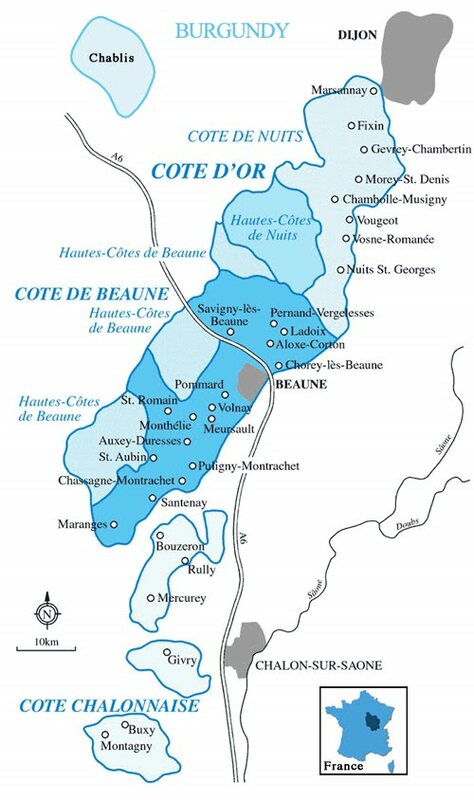 Further south, the Cote de Beaune is most famous for its whites, but there are very good reliable, sturdy Pinot Noirs. They might lack the finesse of the best Cote de Nuits, but they are also a little cheaper. Corton is the only red Grand Cru of the Cote de Beaune, whilst Pommard is probably the most widely known red of the region, made just south of the city of Beaune. Some of the best New World Pinots are now being made in New Zealand which tends to be fuller in body with lower acidity and more intense fruit flavours. Other great producing Pinot regions include Oregon and the cooler climate appellations of California. So why is this silky delicate wine such an ideal match for mushrooms? 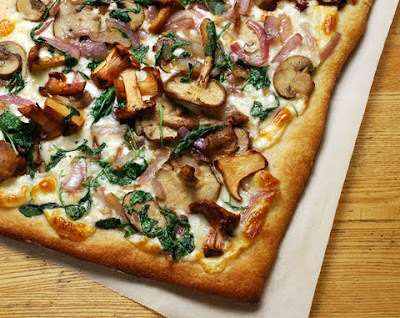 Well to begin with, mushrooms represent a food category that needs its own pairing chart. On the one side they don't really taste like vegetables and on the other, they aren't even close to meats. Edible forest mushrooms are one of the best delicacies available. Remember Cepes, trumpets and truffles from my last post? They posses very delicate complex flavours so you need a wine that complements them, and an earthy Pinot Noir is possibly the best wine you can have with any mushroom dish. 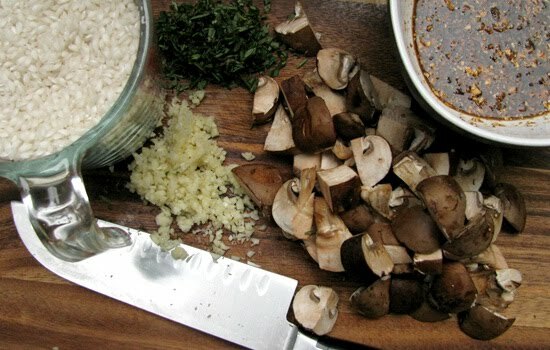 One important thing to remember, is that mushrooms generally have a light bitter flavour, therefore it is often advised to stay away from very tannic reds which will create an unpleasant taste and overwhelm these delicate delicacies. Below is a list of a few dishes I plan on making with my tasty forest mushrooms, all fabulous with Pinot Noir. However, this is not a rule, as many other wines can be recommended depending on the cooking method (i.e. Roasted, sauteed, sauces and spices used, etc). If Pinot Noir isn't you're thing, I've also listed a couple other wines that would also be a great compliment. Baked Mushroom Tortellini: You can mirror the creamy texture with a like-meets-like pairing of a fine White Burgundy or an Oak-Aged Chardonnay. 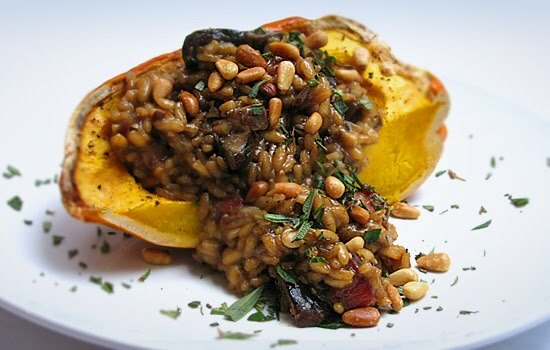 Mushroom Risotto: Would also work well with an aged Italian red such as Barolo. Wild Mushroom Pizza with Truffle Oil: Sangiovese and Sangiovese blends such as a Chianti Classico. Stuffed Mushrooms: Could work with a more robust red such as Zinfandel. Mushroom Quiche: Perhaps a White Burgundy or Pinot Blanc.